The test of HGTV Magazine apparently went well. 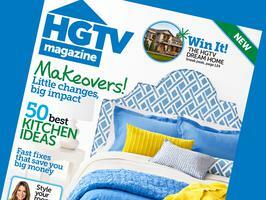 HGTV and its partner Hearst Magazines said today they will officially launch the new magazine with a June/July issue that will be available in mid-May. Three more issues are planned this year. The home lifestyle magazine will launch with a base of 450,000, “making it one of the largest consumer magazine launches of the past decade,” according to a news release. This entry was posted in HGTV and tagged Dan Fuchs, Hearst Magazines, HGTV, HGTV Magazine, Scripps Networks Interactive, THe Oprah Magazine on March 19, 2012 by Roger Harris.